Well, if our current weather is anything to go by, I'd say that Autumn is in full swing. As I'm typing this, the wind us gusting with speeds up to 40mph and our backyard has become a shelter for White-crowned Sparrows, a lone Song Sparrow , Dark-eyed Junco's , Magpies and of course many House Sparrows. Yesterday we had visits from a Spotted Towhee and 2 Orange-crowned Warblers. I've to say the the pipit and the heron are wonderful because the light on them is fantastic! And the reflection of the heron is gorgeous! You are a talented photographer! Congrats! Autumn's in full swing here too mate. Falling leaves everywhere. Great shots again, and that Coyote is a beauty. 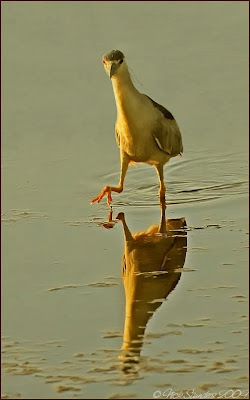 Wow - that night heron taking a walk is incredible! Wonderful photos as always. I've had no birds here - please send me some! We're in fall mode here, too. I'm in the US midwest and we had 40 mph winds a few days ago. My favorite saying is the only thing stopping the wind from Canada is my neighbor's house! I love your pictures as always, Nick. 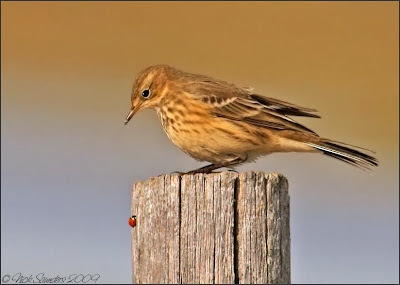 The pipit eyeing the lady bug. The Heron walking - such an interesting shot. The lighting on all of them. Great shot of the coyote. I enjoyed all of them. Lovely pics again Nick. I love the night heron shot and the coyote. I like the handsome coyote. He looks to be in great shape. 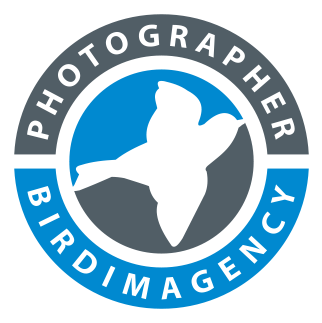 Your bird photos are very nice too. Autumn is definitely proving you with a very nice selection. Great pics as usual Nick. FAB. Beautiful series Nick. 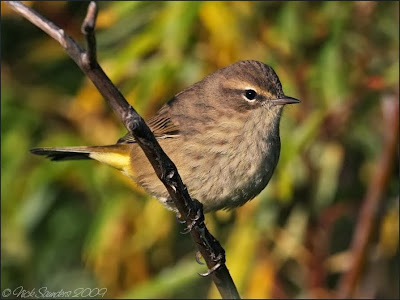 The sharp details, lovely composition and beautiful bokeh makes the image of the Palm Warbler my favorite in this series. Wow! 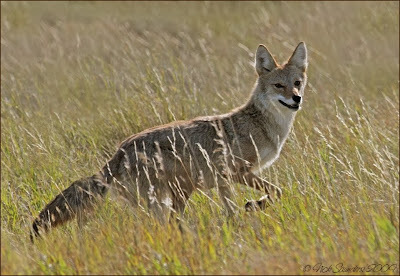 A wonderful series of photos..how nice to see that coyote..what a great shot of him! 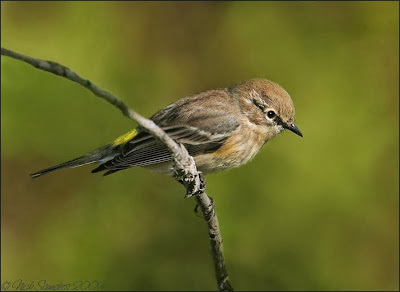 As always your bird pics are wonderful and very nice to look at!